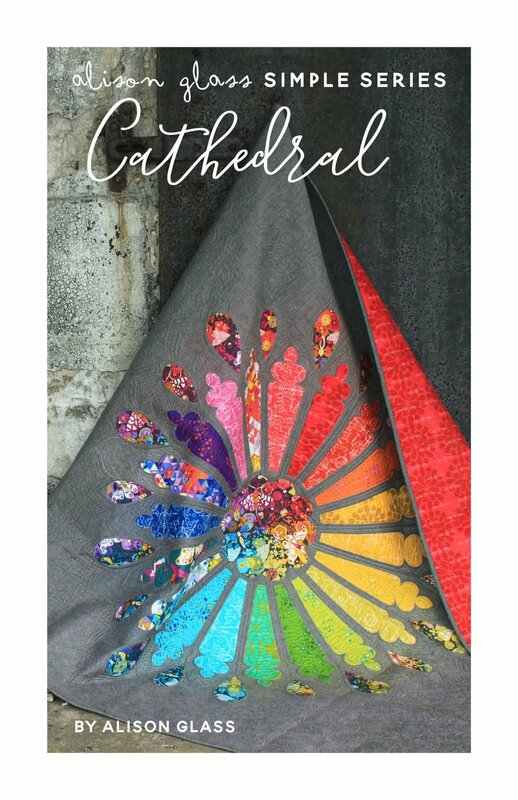 Cathedral' uses a raw edge applique technique where the edges are stitched and quilting happens in one step. It comes with templates for both a throw and mini size quilt. The cover quilt features ‘Art Theory’ fabric by Alison Glass. Pattern included a layout using multiple fabrics as well as the cover layout as shown.